The San Diego ABC News affiliate is offering some “overview” coverage of the state’s civil courts funding crisis. The story offers nothing new, but is a recent example of more mainstream press starting to notice the “five-year” crisis in justice funding. 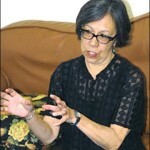 The reporters offer the insight that “Gov. 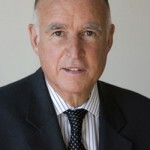 Jerry Brown is trying to solve the problem” – they cite no source, but certainly plenty of justice advocates would question the governor’s motives. Also cites is the failed statewide computer system, with the ABC report saying that “… eyebrows were raised over the $1.2 billion that was spent on a computer system overhaul — a computer system that never worked.” You can read more between the lines here: Budget woes: Can California’s judicial system recover from a five-year crisis? One candidate refused to discuss a “not qualified” finding and the other came under fire for her performance in a spousal abuse case where a husband was released from custody and killed his wife. 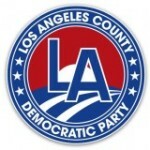 Both of those candidates are profiled as The Metropolitan News Enterprise continues its coverage of the June 3 primary election that will pick several new Los Angeles Superior Court judges. MetNews.com reports Los Angeles Superior Court Commissioner Emma Castro is running become a Los Angeles Superior court Judge in a primary scheduled for June 3, 2014. The report also reports of her opponent “… Chrostek, who was taken to task in a 2008 report by her office for deficient performance in a spousal abuse case—which culminated in a husband with dangerous propensties being released from custody and proceeding to slay his wife—is presently appealing a JEEC rating of ‘not qualified.’” Read the story and follow the profiles here. Superior Court officials in several SoCal jurisdictions are reporting scams that involve email or phone contacts alleging that somebody has missed jury duty or committed some other infraction, and owes money. Los Angeles, San Francisco and San Diego counties are among those where fraud has been reported. The NBC affiliate station in San Diego has this report. The Alliance of California Judges, a group that offered a statewide voice to critics of how the courts are being operated, is continuing its critique. As the annual state budget season shifts into high gear, and with the state chief justice saying that funding has become a civil rights issue, the Alliance asserts that the very system of funding is flawed. “Former Chief Justice Ronald George’s vision of a unified judicial branch — directed by a central bureaucracy, bound together by a massive computer network, housed in dozens of gleaming new courthouses, acting in unison with the Chief Justice at its head — has proven to be a mirage,” writes Maryanne Gilliard, a Superior Court Judge in Sacramento who has been active in the Alliance for years. In 2011, the Sacramento CBS TV news affiliate called her a “whistleblower” in connection with the failed attempt to consolidate the state’s court computers (see coverage here). Writing in The Courthouse News, Judge Gilliard uses Chief Justice Tani Cantil-Sakauye’s own words in support of her point, in particular noting that the centralized vision has not led to stable funding and that the “CCMS” computer system’s $500 million is “the most prominent example” of poor oversight. It’s the latest salvo showing that the Alliance remains active. Read it here. The Metropolitan News-Enterprise is continuing its 2014 Los Angeles Superior Court judicial election coverage with interesting profiles in one of the year’s more interesting races: Charles M. Calderon vs. Carol Rose. He is a former state lawmaker who served as a majority leader in both the state Senate and Assembly and she has not sought public office before. The MetNews even makes sense of how the ongoing controversy might sway how important “slate” coalitions are formed. The election is June 3 and you can see the excellent MetNews coverage here. 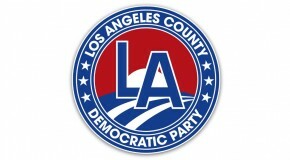 The Los Angeles County Democratic Party has named its endorsement for the 2014 L.A. Superior Court judicial elections while declining to endorse anyone in four of the ten races. The endorsements are included on the party’s website along with other state and local picks. You can read a detailed argument on the Kansas argument here. There’s another issue surfacing in the upcoming knock-down, drag-out fight over the 2014-15 California courts budget, and it likely works against increased judicial brand funding. The discussion involves an Administrative Office of the Courts (AOC) estimate that filing fees and other sources would bring $1.3 billion million into the courts – but now those estimates are though to be short $70 million. The Courthouse News reports that “… much of that shortfall was due to a long-term decline in filing revenue which the administrators said they were well aware of.” That, in turn, has sparked a debate over the AOC’s budget credibility as court officials lobby for something like $300 million of increased funding in the next state budget. 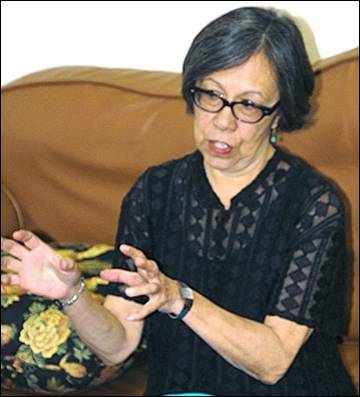 You can read Maria Dinzeo’s well-detailed account here. You can add “new supreme court” to the issues for Gov. 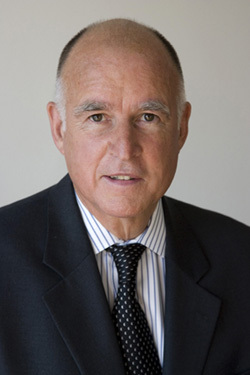 Jerry Brown’s re-election bid. The Los Angeles Times is taking notice that three of the high court’s seven justices are in their 70s and the governor is already making a second appointment to the bench. He is replacing Justice Joyce L. Kennard – considered a “moderate” by modern court standards. Of course, adds another longtime observer of both the court and the governor notes, Brown adds the wild card of “doing whatever he feels like doing.” It will be interesting if any of the potential candidates dare to make courts funding an issue in taking the job. Read the Times story here.